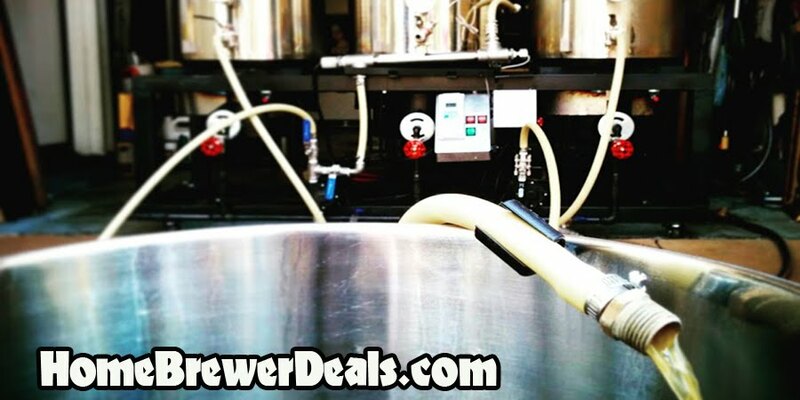 Coupon Description: MoreBeer.com currently has a coupon code for a Stainless Steel 8.5 Gallon Brewing Kettle for Just $79. If you are searching for a great priced home brewing kettle for your 5 gallon homebrew beer batches, this 8.5 Gallon Stainless Brew Kettle from MoreBeer will certainly meet your goals. This home brewing kettle is made of 100 percent stainless steel and available for a truly economical price. It is a reliable brew kettle, with a lot of potential. It is perfect for first time brewers and experienced home brewers alike. Two ½-inch couplers are welded to the side of the kettle, and the bottom coupler can even be threaded on the inside of the kettle to use with a kettle tube screen.